Channing served as Nirvana’s drummer from 1988 to 1990. 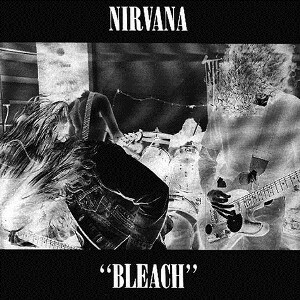 He performed on all but three tracks on the aforementioned debut album from Nirvana, “Bleach.” He also toured North America and beyond while the band was on Sub Pop Records. When Nirvana was selected for induction into the Rock and Roll Hall of Fame in 2014, Channing was not a part of the induction ceremony. Many Nirvana fans objected at Channing being left out, since he was such a big part of the band’s pre-“Nevermind” story. Instead, the induction ceremony only honored the late Kurt Cobain, as well as Krist Novoselic and Grohl. But, Channing has no hard feelings. In the interview, Channing says he continued his friendship with the guys of Nirvana. He also says the reason he left the band was because of musical differences. “I look back at those days and I think, ‘Wow, I played a small part in something.’ So I’m happy with that,” he said. Channing even remembers the first time he saw Nirvana perform with Grohl on drums. It was a warm encounter. “In fact, I remember the first time I saw them with Dave at this place called the OK Hotel,” Channing said. “It was the first time I’ve seen the guys in probably a year or so, and it was really good to see them. It was like, ‘Hey, how’s it going?’ It was very friendly.